G&N are packaging experts operating in the home care, cosmetic, and food manufacturing industries. Providing a complete packaging and fulfilment service, exporting throughout the world. Supporting international and aspirational brands across a variety of sectors, our co-packing service takes your product from concept to consumer and includes a comprehensive labelling service to meet the specific guidelines for food imports. No matter what the size or complexity of a project, we deliver innovative and unique co-packing and packaging services to meet all budgets, time-scales, and growing environmental demands. G&N, the perfect packing partner for any project. Shrink wrap is commonly used to enclose items in film to keep them clean, wrap items together securely and to add a tamperproof element to them. A variety of products can be shrink wrapped including games, books and toys. Our fully automated shrink wrapper and two semi-automatic machines can handle large or short runs of shrink wrapping. 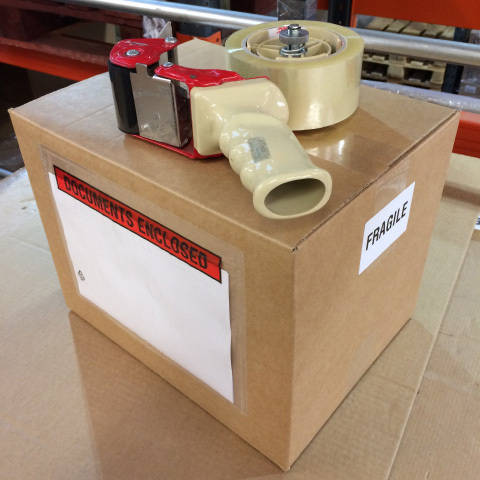 Bespoke items that cannot be packed by machines or produced overseas can be packed by hand. With various products going into the pack then sometimes hand packing is the only option. From goody bags that contain multi items to packs that contain just a few our warehouse is flexible to cope. Many countries require products to be labelled or coded correctly to be able to be sold there. To ensure that your products are compliant for exporting to we can overlabel & inkjet code to ensure they are. 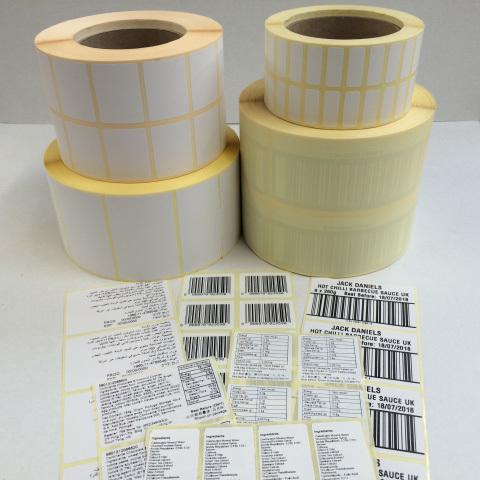 We can supply and print labels in house as well as re-wrap or re-box them. With our extensive knowledge & experience as well as contacts in market we can ensure you get the right information on your products. We can also organise translations as well as shipping worldwide with our trusted partners. 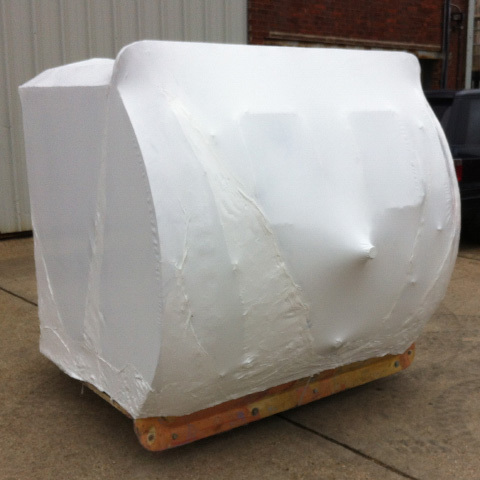 If you have some large or awkward objects that you need shrink wrapped then we come to you. Wrapping your item for transportation protects it from chips & also keeps it clean when in transit. If you are storing your item also lends itself perfectly to shrink wrapping as it keeps in clean & tidy. Take a look at just a few of the items we have shrink wrapped already and as you can see literally anything can be shrink wrapped. With our fulfilment service we can store, pick & pack and ship all of your orders at affordable rates. With our flexibility and fluctuation of your warehousing needs outsourcing your fulfilment allows you to concentrate on growing your business. With no minimum order requirements per month and our flexible warehousing arrangements we are your perfect partner to start handling your fulfilment. We can print virtually any type of label from our industrial printer. Barcodes to images, English to Chinese – any text any text can be printed. This is very useful for any rectification work or for use with Exports where ingredient or BBD labels are required in the local dialect. UK packaging does not always comply with import regulations in overseas markets, particularly those outside Europe. We can work with you where your product falls short and then overcome any barriers. Our skilled team can provide a full service, helping to adapt your products to meet specific market requirements or promotional packaging needs. From language translations, labelling, ink jet coding, barcoding to ingredients lists, country of origin, nutritional information and net weights, we can assist. We also provide shrink wrapping, banded packs, gift packaging, POS handling and seasonal hamper assembly. We can offer you a bespoke service tailored to your individual requirements. We offer a comprehensive labelling service so that you can meet specific guidelines regarding food imports. Our programmable ink-jet printers provide the facility to apply production and/or best before dates on products to meet the country of destination requirements. 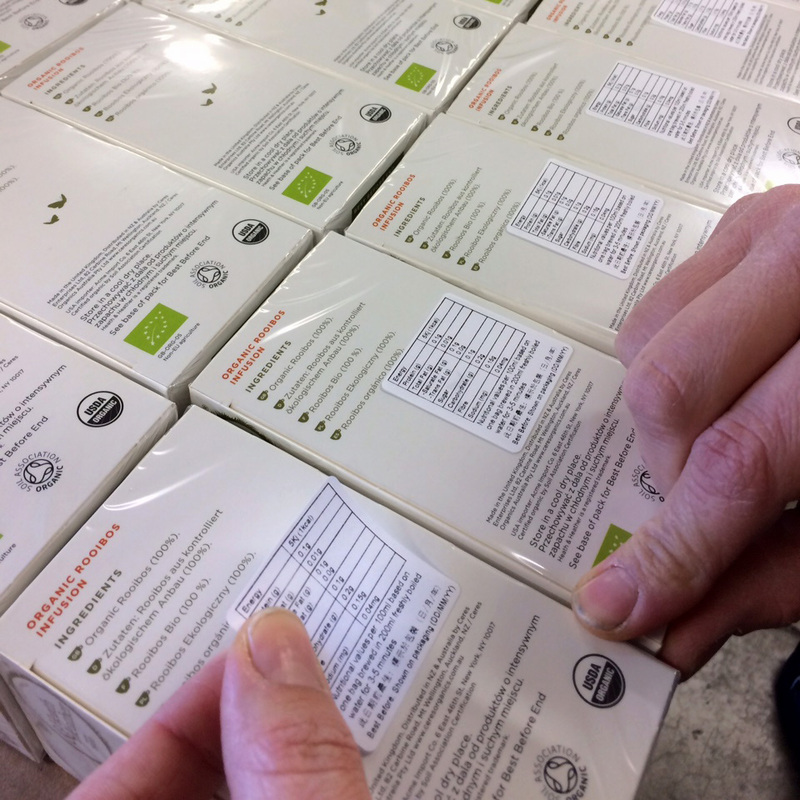 We are able to apply translated ingredient and nutritional labels in any foreign language from Arabic to Mandarin, as well as specialist barcoding and company logos. 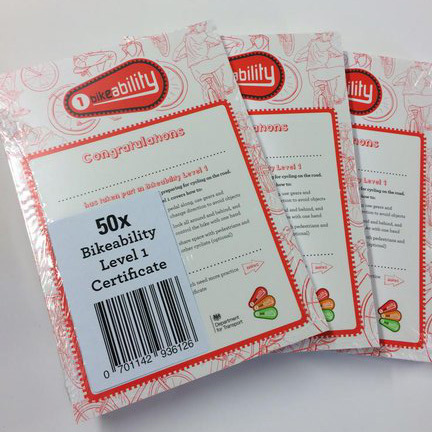 We can assist with any bespoke labelling services that you may require. Where quantities do not justify the use of automatic production equipment, our skilled team will carry out fast and accurate manual operations. This includes label application to non-uniform shaped products and hand packing into display bins or clip strips. Our warehouse facility is conveniently located close to Bournemouth airport with excellent access to Southampton port. We can securely store and load your orders (palletised or containerised) for despatch to your specified destination. 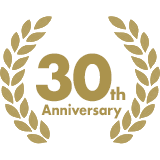 For almost 30 years, our family run business has offered quality packing solutions. Operating from a clean, modern and 24-hour security controlled warehouse, we are driven by Quality, Experience, and Trust. Committed to all our customers, treating each one as important as the next. Attention to detail is paramount, and you can be assured of the highest quality which is continuously monitored. Paul joined G&N in the very early days after completing an apprenticeship in engineering. 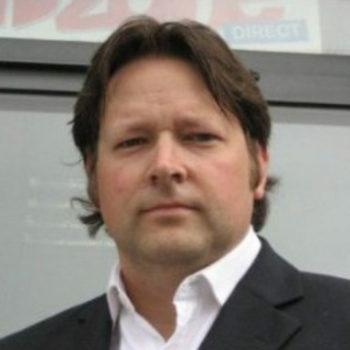 As well as overseeing key accounts Paul also organises the Production Schedule, Warehousing and works on the accounts. 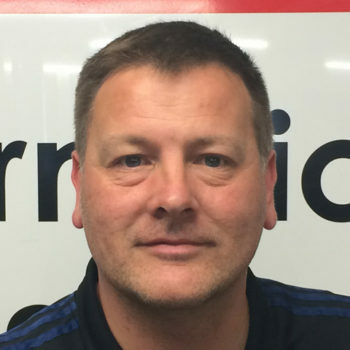 When not at work Paul enjoys being a football manager at local Brockenhurst FC as well as being a season ticket holder at AFCB Bournemouth. After working at JP Morgan in Bournemouth for 4 years Mark joined the company in the early 1990’s with a financial background. Looking after key accounts, as well as new business development, Mark enjoys networking on behalf of G&N. With a young family to keep him busy, a lively chocolate lab called Bob, weekends are never dull! Paul, Mark & the team are a real pleasure to do business with, so much so that we see them as simply an extension of our own team! G&N Int. go above & beyond – here’s to another 8yrs & more! Don’t look anywhere else for all your packing requirements. We have been using G&N International for a number of years for our repacking/labelling work. The quality of the work is very good and the turnaround time excellent. They are very helpful and would not hesitate in recommending them. 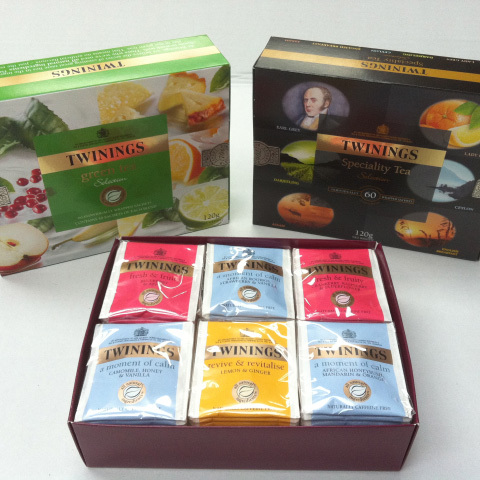 Twinings have worked with G&N for over 25 years. We’ve found their service to be professional, competitive, flexible to changing needs and swift to respond to our needs at short notice. G&N came highly recommended to us so we felt they were the best people to handle our brand requirements. The first job was very complicated involving precise label applications on hamper tins – quite tricky to do but the team practised the application and then took on the workload – very impressed – every tin labelled perfectly – both ends meeting which is not the easiest of jobs – they did the brand proud. The pricing is competitive but most importantly the job is done correctly. No cutting corners. Deadlines are respected and adhered to and the team kept us updated through out the job. We have a very complicated international account that again has very specific requirements – G&N understood and delivered. We have every confidence in their services and what I love in particular is that they treat our business as if it s their own. Lots of flexibility and no silly minimums which makes it a joy to work with team. We are located on the Aviation Park West at Bournemouth Airport. Enter the estate from the roundabout at the Chapel Gate entrance and proceed past the security gate until the roundabout. Turn left here and follow the road down over two large speed bumps and then you will see some new units on your right hand side. Immediately turn right into Commercial Road and you will see G&N in front of you on the right hand side, on the corner – Unit D1. © 2017 All rights reserved. G&N International Ltd.